Is your PTA looking to spice up your Jog-a-Thon this year without breaking the bank? 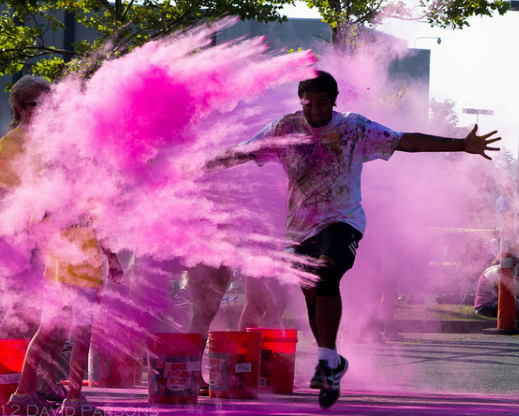 How about a do-it-yourself Color Run? How do Color Runs work? A typical Color Run course has 5-6 stations set-up with color powder that will be thrown on runners as they race by. How much color do we need? You may want to order a bit more color if you want to really cover your participants. Where do we get color? You can buy color powder on Amazon in bulk. You can buy 25 pound bags here but there are many more if you search “color run powder”. A color toss is a great way to start and end your race. This is when all runners gather together and throw color in the air! A great way to increase participation in your fundraising is to let anyone with one donation into the Color Toss. Color Runs are a great way to raise money for your PTA. Just like a jog-a-thon, students obtain sponsors for each lap around the track. 99Pledges can help by giving each runner an online pledge page. 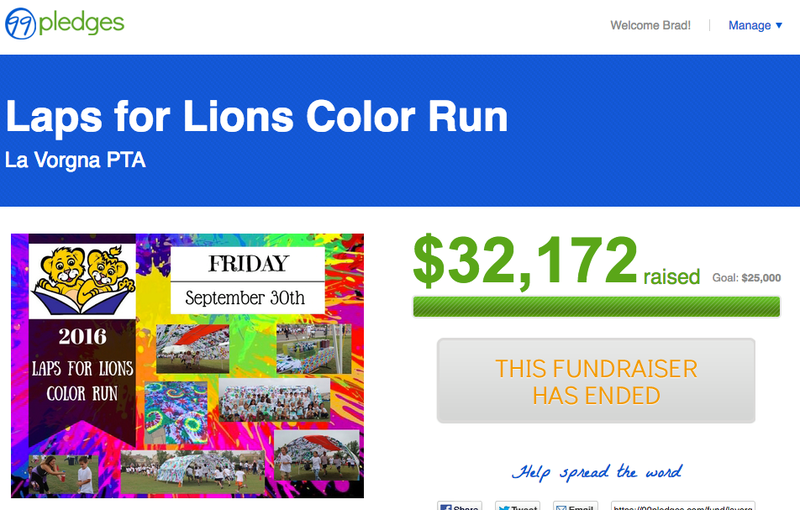 Click here to see how La Vorgna raised $32,172 via their Color Run on 99Pledges. 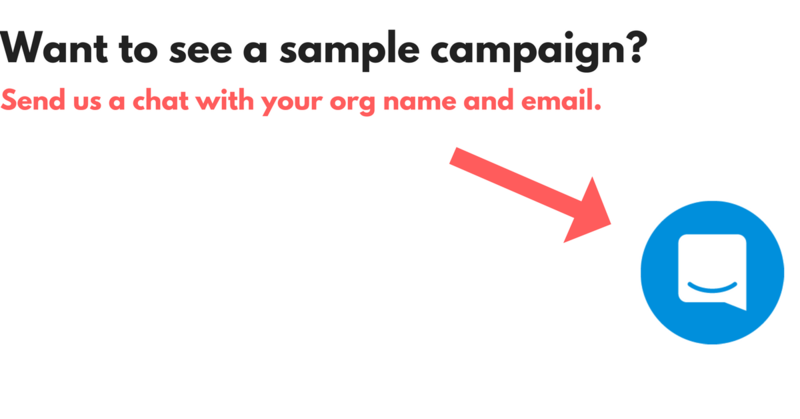 Raise much more - you’ll reach more donors online with zero parent set-up. Eliminate the work - you won’t have to chase checks or pledge forms. Keep more funds - you keep 100% of your cash/checks, and 90% of what’s collected online (schools keep >93% on average). We pay your credit card fees. No setup or minimums. No minimums. No charges to donors. Do all the set-up for you and be there every step of the way. The Starting Line - To help with congestion at your color stations, break runners up into “waves” of 25/50/100 participants at a time. Wait about 90 seconds and then release the next wave and so forth. The Finish Line - This is where the most photos will be taken. Create your a hashtag for your PTA to share photos back to your event. Blowoff Station - Use a leave blower, large fan or floor dryers. Music - tunes are a must! Clean up is no problem! Simply sweep up as much color as you can. The remaining color will leave no more than a sidewalk chalk like residue that can be easily washed away with a hose. Parents might want to bring towels to place in their cars. Dust the excess powder off clothing and place it in the washing machine. A simple shower will remove the color from skin and hair. Color Runs are super fun and simple, and we'll be here every step of the way.